3D Library (link) of our products: sofas, armchairs, tables and complements in most used 3D file formats. Includes selected materials for each furniture. Image bank (link). All the pictures you can see in our catalogues and more are available. For your web, store, online store, printed info, flyers or your own catalogue. Inform us where you are going to use them and our experts team will help you with the best option. Logos (link), a Corporate image of our brands available too in different formats. Easy to use either printed or in a digital file. News dossier (link), remarked news of our activities, with text and HR images. Certificate of Quality ISO 9001. Certificate of Environmentally Friendly ISO 14001:2004. Certificates of Rubs Tests of our products. 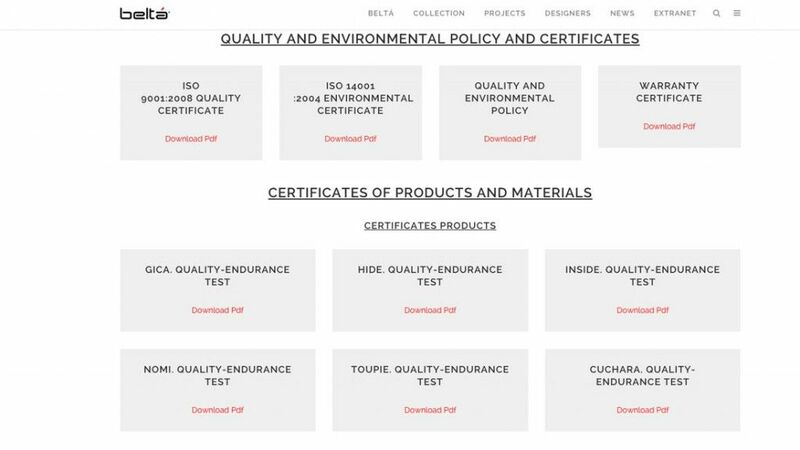 Certificates of Fire Retardancy for Foams and Fabrics. 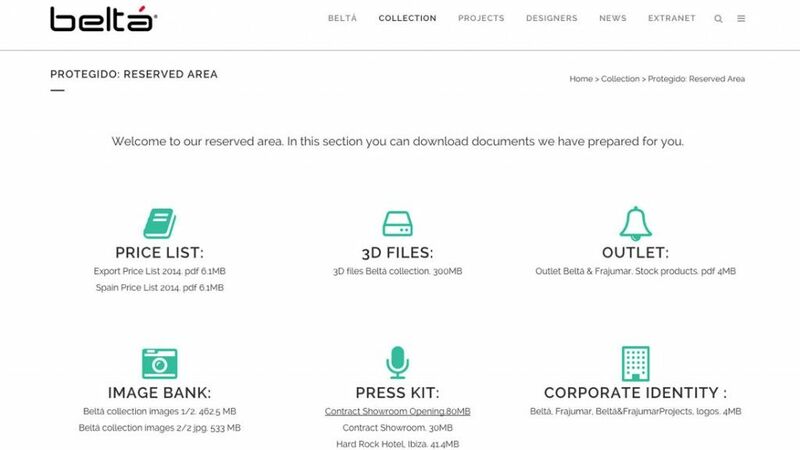 And of course, our area to download product catalogues, fabrics, leathers and finishing.